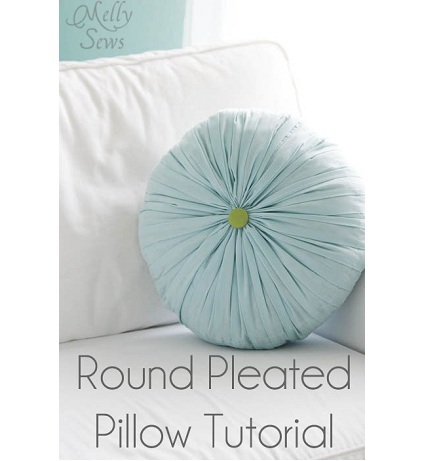 How gorgeous is this pleated and tufted round throw pillow! Melissa from Blank Slate Patterns and Melly Sews made it, and she shares a tutorial showing how you can make one, too. It’s a beautiful accent for a chair or sofa, as shown. It would also be lovely in a bedding ensemble. Go to Melly Sews for the tutorial. See more pillow sewing projects & tutorials.